What Negative Effects Might Your Children Face? 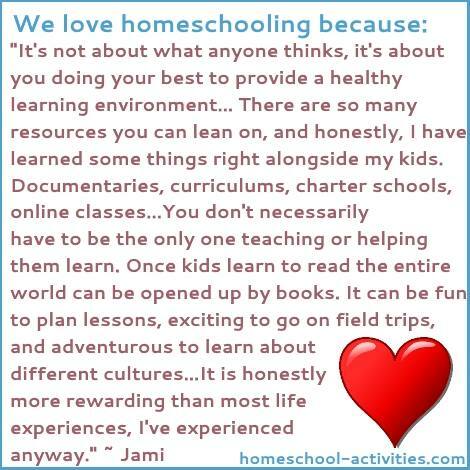 As a second generation home school family, I've had a chance to look at the disadvantages of homeschooling from both sides - first as a child myself - and now as a parent. That puts me in a unique position to judge what negative effects I think there might be. I think it's fairly obvious that I think the negative effects of homeschooling are easily outweighed by all the benefits, otherwise I would never have decided to home school my children William and Catherine! But you'd be very wise (and only human!) if you asked yourself what disadvantages of homeschooling you might face should you decide to start. You'll see we can knock the common perceptions of the disadvantages you'll face on the head fairly easily, so let's get those out of the way first. Home school children score about 37 percentile points higher than the national average on standardized achievement tests. 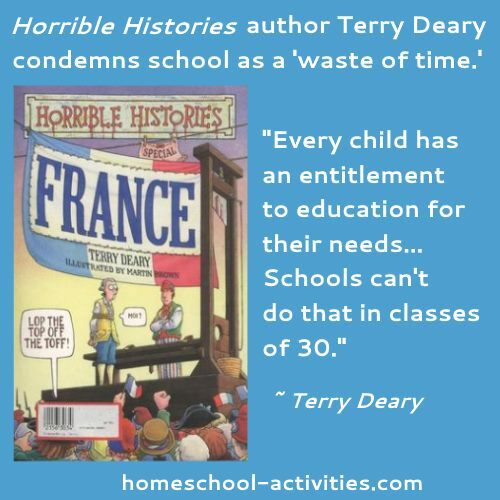 And when it comes to the supposed social disadvantage of homeschooling, you'll see from my page on home schooling children and socialization, I don't think you need worry about that one. In fact, I think you should be asking: what about the social disadvantages of school? You can see more parents talking about school bullying and why they know homeschooling is the best choice. The main negative effects of home school you may encounter are making sure you're not fighting battles with your kids. I've mentioned this before when I talked about the reasons why home schooling can be bad. But a large part of why we are so happy as a family is because my husband Rob and I try very hard to keep head-to-head confrontations to a minimum. It takes a lot of ingenuity sometimes and a good deal of standing back (or going in another room!). But trying to teach home school like you may have been taught yourself could be bad news. "Many parents...tell about their...children getting furiously angry when their kind and loving parents, meaning only for the best, try to give them help they have not asked for." "We all know the kind of person who is quick to interrupt whatever we are saying to correct some unimportant mistake. It's just you and your kids and they'll be good at some things and not others. 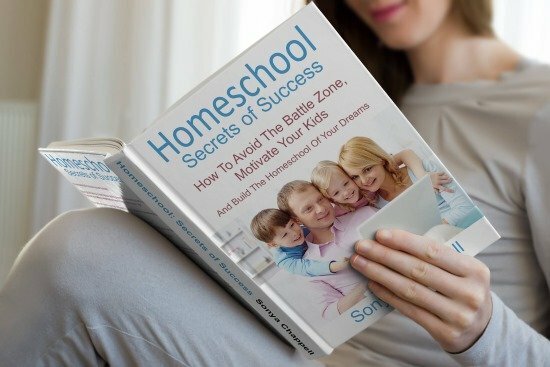 If you force them to follow a standard route with workbooks and lessons you risk the biggest potential negative effects homeschooling can bring: your relationship with your child. You'll also be missing out on the tremendous homeschool advantages you have to throw things into the curriculum mix - field trips, making things, films, homeschooling unit studies - anything to help get your kids interested and engaged. That's where a flexible home school schedule comes in. 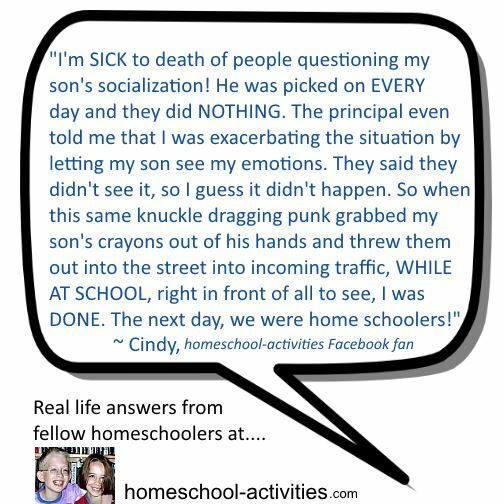 There are some other disadvantages of homeschooling you have to face. The biggest is the feeling of responsibility. If your children were at school, you could always blame teachers for any problems your kids were having. Now, people will look to you for the reason your child is doing badly in something. As with many things, I think it's easy to exaggerate the negative vibes you think you are getting and often people are far more understanding. But that feeling of insecurity is, I fear, one of the reasons many of us take recourse in highlighting the more 'acceptable' parts of our children's working week. It also leads us to attempt more workbooks and recognised 'achievement markers' than are necessarily good for our child. But, in your calmer moments, I think it's easy to see that the skills you learned as a good parent have turned you into the best teacher your child could possibly want, as you'll see in home schooling for dummies. The disadvantages of homeschooling are worth thinking about but I'm sure you'll find they're easily outweighed by what you and your children get out of learning together.